The threat of direct confrontation between arch-enemies Israel and Iran has long simmered in Syria, where the Iranian military built a presence early in the nearly eight- year civil war to help President Bashar al-Assad’s government. The Israeli military said its fighter jets attacked Iranian “Quds Force” targets early on the 20th of December and their hits included Iranian military munition stores, a position in the Damascus International Airport, an intelligence site and a military training camp. The attack came in retaliation to what Israeli intelligence claimed as an Iranian attempt to fire missiles towards Israel-occupied Golan Heights. “We’re operating both against Iran and against the Syrian forces that are abetting the Iranian aggression,” Israeli Prime Minister Benjamin Netanyahu said. While proxy warfare and border-firing is not new to either state, it is striking that Israel carried out its series of attacks in Damascus not only in broad daylight but for the first time acknowledged in real time that the strikes were taking place. Until two-and-a-half years ago, the IDF mainly struck Iranian weapons shipments destined for Hezbollah, but this novel, direct attack on Iranian military as well as against Syrian bases has prompted the idea that Israel may inadvertently be looking to escalate matters to an open war. It is increasingly clear that for Israel, things are changing rapidly and none to its benefit. President Trump is pulling out US ground forces from Syria where Russian-backed Assad has gained a decisive victory in Syria, partly due to Iranian help. Iranian influence even within Syria is strong and it has been primarily due to support from Iran and Hezbollah’s 80,000 strong manpower that helped Assad survive rebel advances and plug manpower gaps early on. In Lebanon – another specter of Iranian influence, Hezbollah’s influence has grown significantly due to bolstered manpower, resources and fighting experience from mere militant group to a major political stakeholder in Beirut. Russia continues to oscillate between backing Assad’s hold on power and maintaining the status-quo in Syria, so that it can make minimal investments while advancing its own geopolitical interests in the broader Middle East. This has meant that despite high-level dialogue between Israel and Russia on brokering a deal to keep Iranian forces at bay, Russia has remained largely muted, preferring not to take any sides militarily. The Trump administration on the other hand, offers little clarity on its words. The Israeli strikes came a day after U.S. Secretary of State Mike Pompeo’s high-profile anti-Iran speech in Cairo, part of his week-long tour of the Middle East which, along with National Security Adviser John Bolton’s visit, were intended to reassure U.S. allies following President Trump’s abrupt decision to withdraw U.S. forces from Syria. The events reflect Israeli sentiment that it can no longer rely on the U.S. in its efforts to counter Iran’s regional ambitions. The sentiment in TelAviv is clear; whether in countering Iran or in managing Russia, Israel is on its own in Syria. In light of these major developments, certain key takeaways offer a political context for the recent escalation. With an election approaching on April 9th, it is becoming clearer as to why Israel’s government has begun discussing its strikes more openly, and has also taken a tougher stance towards Hezbollah on the border with Lebanon. Looking to win his second consecutive term as Prime Minister in a time where he is personally marred by corruption controversies, Netanyahu is looking to play the decisive cards that are more than likely to sway the votes in his favor – the Iranian threat card, which in an election season, where candidate Netanyahu is also the minister of defense, increases the value of any nationalistic chest-thumping rhetoric even further. Thus, his recent decision to lift the veil of ambiguity from Israel’s attacks on Syria – for the first time ever – in exchange for scoring political points suggests that Iran is a convenient personal-political consideration. Earlier this year, Netanyahu decried Hezbollah’s development of a network of tunnels across the Lebanon-Israel border, describing it as an “act of war”. Further, the timing of these overt Israeli strikes against Iran is also uncanny; That the reports about an Israeli air force bombing Iranian positions in Syria push aside the latest developments that have surfaced over Netanyahu’s alleged corruption worth hundreds of millions of dollars in bribery is a trusted and deliberate move. Populist leaders in the past, have long employed the specter of Defense and Safety of the motherland from existential threats, much like India’s Narender Modi and his pre-electioneering BJP Hindutva ideology have recently demonstrated. “We have a permanent policy, to strike at the Iranian entrenchment in Syria and hurt whoever tries to hurt us,” Netanyahu stated in a recent cabinet meeting. In Syria, Russia-backed Assad has openly stated that Iranian forces are welcome to stay in Syria after being part of years of military victories that have brought most of the country back under his control. Just two big enclaves are still outside Assad’s grip, including the area Trump plans to exit. The unexpected Trump announcement to suddenly exit Syria has been a move long sought by Assad and his Russian and Iranian allies. However, despite the recent assurances that the US has attempted to give its Israeli allies of its continued support in its fight against Tehran and the aggressive language toward Iran in US Secretary of State Mike Pompeo’s speech in Cairo, this has only gone on to highlight to Israel the disparity between U.S. actions and rhetoric. In September 2018, in a surprising move PM Netanyahu went on to reject the deal offered by Russia for a US-Russia deal on the Iran-Syria issue, that ensured Iranian departure from Syria. To date, Netanyahu has not given any account of his decision to reject the proposed agreement with Russia and the United States on the Iranian pull-out. His opponents see the PM’s erratic and dictatorial behavior as singularly leading Israel up an aggressive path of escalations. Despite the threat of war, Netanyahu refused to let diplomatic efforts play out, instead choosing to reject the suggestions of his Knesset members who insist on taking up the deal, thus ramping up the ante on a possible volatile military war. As tensions increase on the Israeli-Lebanese border following the discovery of Hezbollah-built tunnels last month and with President Donald Trump announcing a withdrawal of U.S. forces from Syria, the possibility is growing that a confrontation with Iran may move from Syria to Lebanon. Lebanon is increasingly viewed within the prism of containing Iranian influence, mainly as an arena to pushback on Iran’s key nonstate ally Hezbollah. 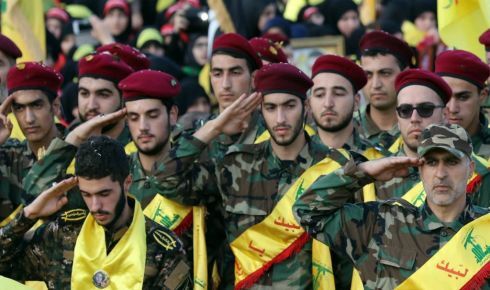 Hezbollah’s apparent success in Lebanon’s elections validates Israel’s policy of holding its northern neighbor responsible for the actions of the terror group. “The State of Israel will not distinguish between the sovereign state of Lebanon and Hezbollah, and will view Lebanon as responsible for any action from within its territory,” an Israeli minister said in a statement in December 2018. Military Intelligence chief Amos Yadlin made an unusual statement. Yadlin, who heads the Institute for National Security Studies at Tel Aviv University, told the radio station 103 FM that Iran has recently altered its behavior in the region. Amos Yadlin, former head of Israel military intelligence, has recently said openly what several senior Israeli officials have recently hinted: Due to changes imposed by Russia, the Israeli-Iranian battle has largely moved to other countries. Furthermore, Prime Minister Benjamin Netanyahu had already admitted at the United Nations General Assembly in September, that TelAviv was worried by the Iranian-Hezbollah efforts to set up production lines for precision weaponry in Lebanon. Official sources in Israel suggest that necessary materials for weapons are now being smuggled on the frequent flights from Tehran to Beirut, rather than overland through Syria. Even with regards to the US pull-out from Syria, Israel is most concerned by the gaps left by US that will aid Iranian entrenchment on Syrian land further. While most international attention focused on the planned withdrawal of U.S. troops from northeastern Syria, an area under the control of the Kurdish-dominated Syrian Democratic Forces, Israeli officials were concerned about the withdrawal of U.S. troops from al-Tanf, on the Iraq-Jordan-Syria border triangle, which would decrease the length of the ground line of supply that Iran uses to reach Iraq, Syria and ultimately, Lebanon. TelAviv’s policy of curbing a potential Iranian military build-up keeping in mind Iranian military objectives too, is longstanding. Since late 2012, Israel has carried out thousands of airstrikes in Syria, intending to disrupt the transfer of advanced weaponry from Iran to Lebanese Hezbollah through Syria, and prevent the establishment of permanent Iranian bases in the war-torn country. But at the same time, Israel has had nearly no direct clashes with Hezbollah in the almost 12 years since the Second Lebanon War, having last fought the group in 2006. However today, Israel is aware that Hezbollah is no longer the low-laying proxy group of the past. With its significant experience from its fighting in Syria, Hezbollah has grown to become the enemy by which the IDF measures its preparedness and the January 2019 strikes were a manifestation of this very idea. Hezbollah despite being an entrenched political presence in Lebanon is also equally aware of the caveats if a military confrontation with Israel was seriously on the cards; Beyond recognizing the inability of the weak Lebanese army to face off against Israel, which is not new, it is clear that Hezbollah will have to restrain its response in order to avoid further complicating the formation of the government and the damage that an Israeli strike could cause Lebanon. It must also be very careful not to move Israeli military action from Syria to Lebanon. Hezobollah’s ideology of ‘resistance’ must come into play if it wishes to help its cause – for Iran and within Syria. Officially, Russia in the past year has shipped and re-equipped Syrian defense forces with the latest surface-to-air missiles in order to further strengthen the recalibrated Assad government’s state security. However, Russia’s ineffectiveness in hindering unabated incoming Israeli airstrikes despite its upgraded defense systems and its muted responses – choosing deliberately not to retaliate aggressively – offer the conclusion that the Kremlin is more interested in keeping up its façade of control over Syria. In reality, none of Moscow’s promises have held any weight, and Israel and Iran are both aware that their actions within and around Syria are of little consequence to Russia. Syria, to Iran represents one of the most significant commitments Iran has made beyond its borders in recent decades and it is unlikely that it will change its policies anytime soon. More sizable than the number of Iranian fighters deployed in recent years, is the contingent of foreign fighters Iran is training and equipping in Syria. In addition to Hezbollah and Syrian forces loyal to Assad, Tehran is backing Shi’a militias comprised of Afghan and Pakistani fighters. On the other hand, Moscow is choosing to steer clear of escalations and retains only two remaining objectives in Syria as the contours of the country’s political future under its proxy ally Assad have become clearer in the past 18 months. One; Russia will continue to safeguard the Assad regime ensuring that his government retains a strong hold on its new stability– no longer being involved in new, active long-drawn confrontations. 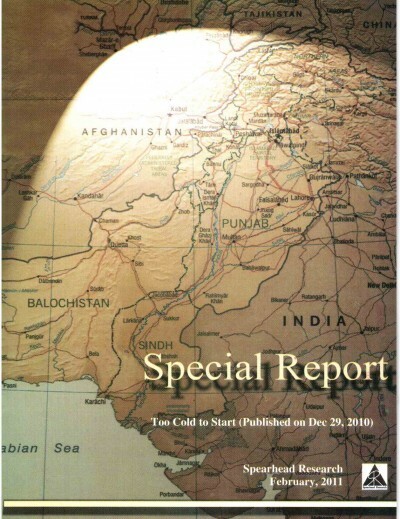 Two; Moscow has its personal geopolitical interest in maintaining its strategic foothold in the region, especially after the United States has given up its attempts to be involved in setting up any hegemonic presence or influence the politics of the region anymore. This is evident through the establishment of Russia’s own air base and port on Syria’s Mediterranean coast, while minimizing its human cost and deploying as few ground troops as possible. Curtailing or intervening in either Iran or Israel’s operations in Syria would involve a lot more diplomatic effort and military resources than Russia is prepared to invest. To Israel too, it is clear that the most can expect from its own engagement with the Russian leadership is a de-escalation of sorts – ensuring there is no direct clash between the two countries’ aircraft in the skies above Syria. But this is about all. It is clear that neither side – Israel or Iran- want or can afford an all-out war. However, it remains to be seen what course of action Israel will take after the elections in April and the question of PM Netanyahu’s political future. However, aside from the foreign policies that all states will sketch out for themselves in the coming year, it is the regional stakeholders in Syria that should have a stake in preventing any potential war in the making. But given the fact that Russia remains mute about any escalations and the United States administration has outrightly removed itself from the Middle East’s arena may well allow an escalation in proxy attacks between Tehran and TelAviv. It is likely that Syria – without any mediatiors to stymie escalations- may well remain a dangerous hotbed for this regional contest to play out in the coming months.